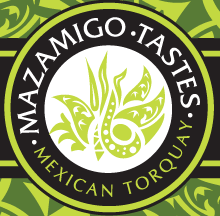 Customers at Mazamigo Mexican restaurant in Torquay enjoyed the sauces and spices so much, they kept asking if they could buy them. The resulting spinoff business, Mazamigotastes, is already making waves for Cameron Procter and his partner, Jenny Devine. 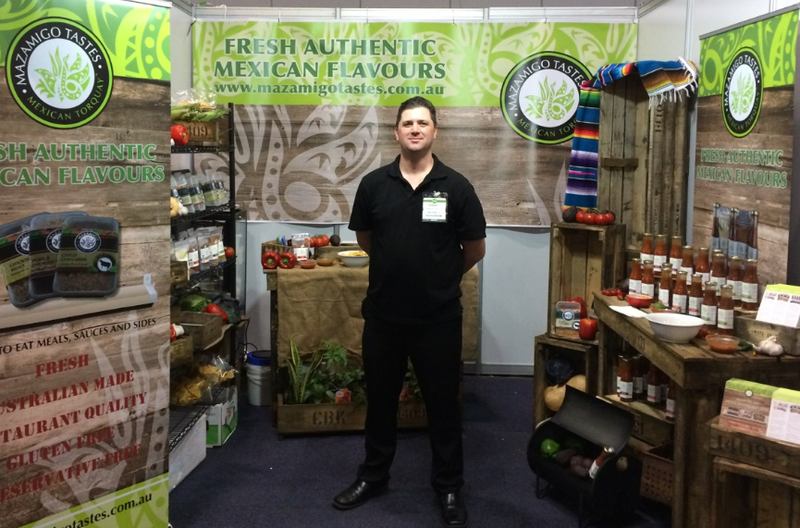 Thanks partly to the Small Business Mentoring Service (SBMS), Mazamigotastes is well on its way to making inroads in the Mexican food and sauce retail market. When Cameron and Jenny took over Mazamigo five summers ago, they enhanced its reputation for fresh, spicy and affordable Mexican food. Locals and visitors to the famous seaside town love it. 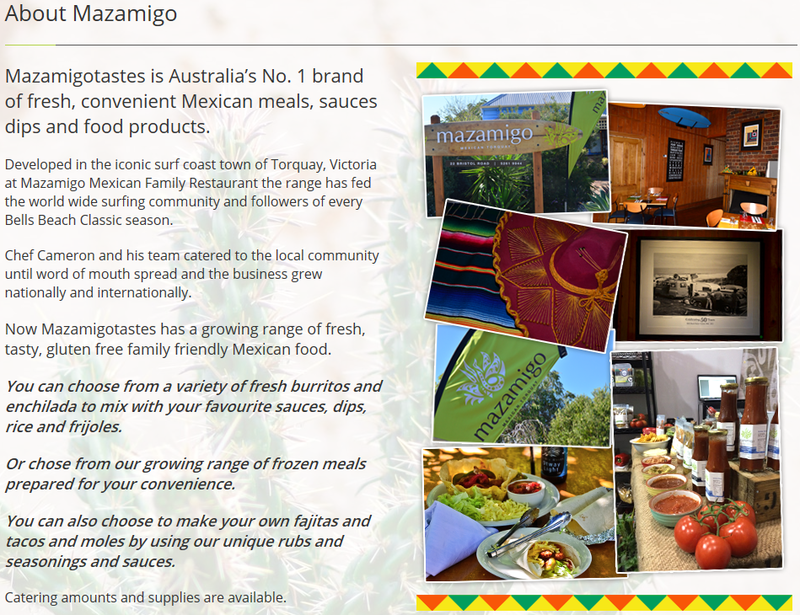 Partly due to the seasonality of the business and to satisfy demand from customers who wanted to enjoy their meals and sauces at home, Cameron and Jenny decided to develop a retail arm, Mazamigotastes. They also saw a gap in the market for their home-style Mexican cooking. Cameron and Jenny initially sold their special chilli sauces and dips at farmers’ markets and now have Mazamigotastes sauces and frozen meals in local retail outlets. The products include chilli and enchilada sauces, salsa, guacamole, frijoles and several frozen meal varieties. Customers love the unique flavours and “home feel”, so Jenny and Cameron knew they were onto something. As an added bonus, all Mazamigotastes products and almost all of the restaurant’s dishes are gluten-free. Cameron has been a chef for 15 years and Jenny is an experienced project manager and cost planner, so they were well placed to branch out. But they needed help with their marketing and finding the best path to take. The plan was to produce freshly made Mexican sauces, spices and meals for catering companies, restaurants and retailers. First they needed to work out how best to produce larger amounts of their products, which Cameron was making fresh in the restaurant kitchen without preservatives. Jenny heard about SBMS through Small Business Victoria, which is based near her office. She and Cameron decided a mentor could help and they were matched with Tony De Stefano. Tony has more than 40 years’ experience in retail, including supermarkets. He and his family operated a large continental delicatessen for four years and established a large Mexican restaurant on the Gold Coast. He now runs a business exporting coal, iron ore and other minerals to China and India. Tony, Jenny and Cameron had seven sessions over about a year and mentoring is continuing. They discussed general marketing issues, Mazamigotastes’ potential and finding the right manufacturer. The new products were popular in markets and local stores. But expanding the range and volume would require detailed research and the right commercial kitchen to produce large quantities. Tony guided Jenny and Cameron on the right processes to follow and helped develop a streamlined strategy to most efficiently use their limited resources. He helped them to develop a clear business case, have one clear vision and to work more as a team. Tony, Jenny and Cameron discussed expanding into other supermarkets in both chilled and frozen form. Tony suggested they attend the Fine Food Australia Expo, where they had a stall. It was a tremendous success in exposing the products to retailers, wholesalers, food manufacturers, and distribution companies. Cameron and Jenny are now investigating fully automated production, giving their products a much longer shelf life as well as greater production capability. “There is huge demand from interstate retailers as well as local and interstate food services companies,” Tony says. Tony is now helping Mazamigotastes negotiate with large food producers to handle the production and maybe distribution nationally. He thinks the business has the potential to export. “The potential of the business has grown immensely,” he says. “Cameron is much more confident in his own ability as well as the product. Jenny says Cameron now has confidence in the products and their potential. “It is easy to lose hope when the process is long and hard and we are tired,” she says. “Tony validated that our processes and thinking is on the right track. He helped us think more efficiently. Jenny and Cameron hope to manufacture their products on a larger scale soon, and have had several enquiries from New Zealand, China and India. They have three staff in the restaurant and hope to hire more if the new business takes off. “We are expecting the flow on effect of the launch of the products to enable us to employ more staff with increased wages,” Jenny says. “Once the manufacturing has been finalised, then the Mazamigotastes lines will help to increase jobs across the board, from manufacturing to distribution as well as a specific sales team,” she says.